In case you haven’t worked out from the lack of us being at races so far this year, 3galoo has not been progressing smoothly. We’ve had numerous problems with the wheels and driveshafts at the rear of the car, and I thought it’d be a good idea to record what we’ve learnt so that other teams out there don’t repeat the same mistakes. We had the hubs and bearing spacers for the wheels machined by a local engineering shop. 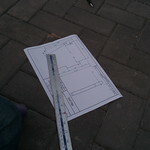 Having checked my drawings with one of the technical specialists at work, I had good confidence that the drawings were correct, and most importantly, correctly toleranced. Sadly, the parts we received back were not up to scratch. The recesses within the hubs for the bearings were too small for us to fit the bearing, although not by an amount that we could measure with a set of calipers. It wasn’t until I sent the parts to my friendly technical specialist that we realised that they were less than 1/10th of a mm too small – this was enough to completely prevent us from fitting the bearing. Foolishly, we wrecked one hub by trying to turn out the extra hundredths of a mm with our bench lathe which really was not up to the job – we went from not being able to fit the bearing, to it falling immediately back out. This all put a massive damper on progress, and enthusiasm – as the first thing that we’ve not done ourselves, for it to go this poorly was a bit of an eye opener. We know for next time – make sure our tolerancing is documented properly, make sure the person doing the machining understands and agrees what is required of them, and if possible, get the bearings to them that you want to fit! Our next problem was with the shaft that we bought to use as the rear axles. To our calipers, the shaft we bought was a constant 18mm diameter the whole way along, so we couldn’t understand why it would only fit part of the way through the holes that we needed it to, and why it slopped around at other points. Again, a measurement with a higher resolution tool showed us that the shaft was definitely not a constant diameter along its entire length. We were advised to instead purchase Cold rolled bright mild steel, which has a much more consistent outer diameter, and has really reduced the amount of wobbliness at the back of the car. From this we learnt how much difference an imperceptible change in diameter can make, and therefore the importance of using the right materials. The design we came up with introduced a lot more ‘critical tolerances’ than it needed to, meaning that many dimensions on many parts needed to be machined perfectly for the design as a whole to work. The redesign at the rear end used a shaft that we knew would fit well into the I/D of the bearing with no further work, reducing the number of ‘critical characteristics’ by two. This approach of designing to minimise the ‘critical characteristics’ of any given part makes the entire system more robust, and easier to manufacture, which is a big win! Hopefully this has been of some use to someone who’s looking at building their own car! 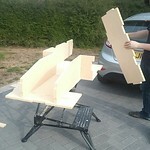 Success, a second blog post about actually building the car, perhaps we are on a roll…. Last night Matt and I got home from work and cracked on prepping our Divinycell panels for gluing. Matt cracked on with a file and some sand paper to neaten some of the edges that we would be bonding to. 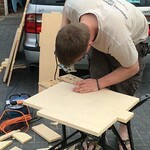 While he was doing this I got to work building a simple router planer machine. We needed to be trim the floor pieces down from 20mm thickness to 15mm, and the front panel would need to be 10mm. We have tried in the past using a home made hot wire to cut the foam in large sections however, doing such wide panels results in the wire deflecting a lot inside the foam which means we often end up with a wave like pattern in our foam, not ideal for keeping a nice flat floor! 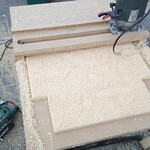 The router planer would remove/destroy more material than the hot wire method, but this wouldn’t matter as we are only removing a small amount. Hopefully it is obvious how this machine works from the pictures above, it was very simple to make and would be a fantastic DT project in a school. The router sits in a rail which gives us our X axis slide. The Y slide is purely done by manually pushing the panels through the tool. Z axis is set by plunging the router down and setting it’s height stop in order to remove the desired amount of material. 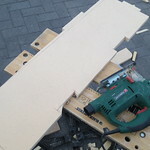 The important thing is to not push down on the router too much as it may flex the MDF frame and cause a deeper cut than you want. This unit didn’t take long to make and worked perfectly for our purpose. 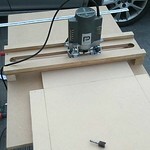 Pushing the panel in from one end I then move the router across, removing 1 router bits worth of material per stroke. 10mins and ALOT of foam mess later (have a shop vac and dust mask to hand here!) and the panel is trimmed. A quick pass with some sandpaper and we have a panel that is thinner and ready for bonding to the rest of the chassis. 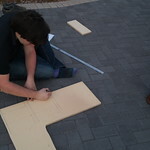 Now that the panels are the correct size and thickness Matt is able to throw them together as seen here. Next up, gluing the chassis together. Welcome to the ‘build log’ of Electric 3Galoo, Matt and I have always thought about showing the build process of one of our cars but a rushed build has always taken priority over documenting it. Perhaps that will happen this time as well….who knows, we will try to keep this updated as best we can! Easy! It really is, as long as you don’t mind the possible mess of epoxy resin the foam is easy to cut and shape to your desired form. You can then test and add to it as required to ensure things like your batteries fit in and your driver is comfy before then sealing the structure solid with fibreglass. We are going to approach this build in a slightly different way. Build the entire drive cell first and fibreglass it then add our subframes and other components afterwards. It was very messy in the last build trying to glass in the steel subframes and we think we ended up with an overall weaker structure. This new method should allow us to add extra glass where needed to strengthen the areas where the most stress will be put in to the driver cell (harness mounts, subframes, etc). It will also mean we can unbolt things if we want to move them in later versions of the car. Realistically this design cannot get any smaller and still fit me in it so the rest of the car (bodywork primarily) will have to be built to this footprint. Enough babble, on with some build! Matt uses the CAD drawings (yes we have CAD this time, thanks Solid Edge) to draw out the shapes we need on to some Divinycell H80 foam. In an ideal world we would get this cut by a laser/water jet cutter for absolute accuracy, but we don’t have one of those so we are making do! 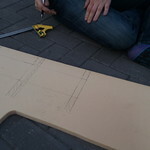 Once we have the shapes drawn I got to work with a jigsaw to cut out the shapes roughly to size. It doesn’t take long and the foam is great to cut by hand as well, perfect for schools I would think. 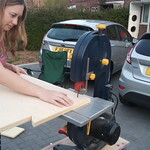 While I cut the main shape out my girlfriend Jodie gets to work cutting the detailed lines using the bandsaw. I then finish off some of the more awkward cuts that my small bandsaw can’t quite get in to do. 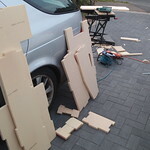 Once we were finished we had a pile of car shaped jig saw pieces. Overall this took around 2 hours with a few people working. Next job is to try and reduce the thickness (currently 20mm) or some of the panels, then glue them all together! 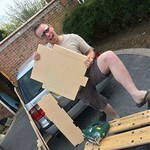 We have also really enjoyed reading the build blog found here http://greenpowereasybuild.blogspot.co.uk, some great ideas for construction and a valuable read to any teams thinking of scratch building a car. The first thing we decided upon for Electric 3galoo was a change to smaller diameter wheels – 16 inch rims down to 14 inch. The main reason we hadn’t done this previously were concerns over the cost and availability of tyres that fit this size rim, but after discussions with Matt from Renishaw (https://twitter.com/Hunter_Concepts) we decided to take the plunge. The main advantages of smaller wheels are aerodynamic. The steering envelope is reduced, meaning the total width of the car can be reduced (or the same width can be maintained with less cambering of the front wheels), and the top surface of the car can be lower, reducing the total frontal area. The con of smaller wheels is higher rolling resistance. Rough calculations say that at F24+ speeds, aerodynamic drag exceeds rolling drag by at least a factor of 4, so it shouldn’t be too hard to get a win in the trade off. As well as reducing the diameter of the wheel, we wanted to make them narrower. The widest point on Electric 2galoo is at the centre of the rear wheel, at 560mm. As well as being well over the minimum track width of 500mm, having the widest point on the car so close to the back is aerodynamically very disadvantageous – we found it impossible to make a smooth curve for the bodywork that came back to point, as seen on Reprobation and Jet. In order to reduce this width we needed to forego spokes, replacing them with solid carbon disks. 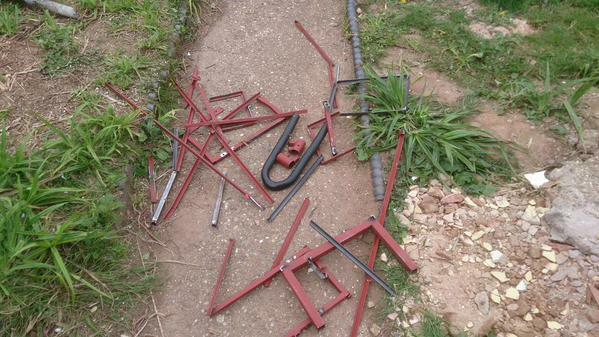 We’d also have to replace the standard bike hubs we’d used on our previous cars with something a bit more bespoke. Our original design (made before we’d actually got our hands on the rims we planned to use) is shown in exploded view below. We planned to fit some foam cored carbon sandwich panels inside the rim, with a hub bonded and bolted around them. We would have had the same wheel design at the front and back of the car – the front wheels would have been bolted through in a similar fashion to 2galoo, whilst the rear wheels would be attached to a brake disc holder to enable driving/braking torque to be transferred to them. Once the rims arrived, we noticed a few problems with this design – the inside of the rim was angled, which would make it very difficult to get a good bonding surface between it and the carbon discs. The outer surface of the rim however was vertical, making it a perfect bonding surface. 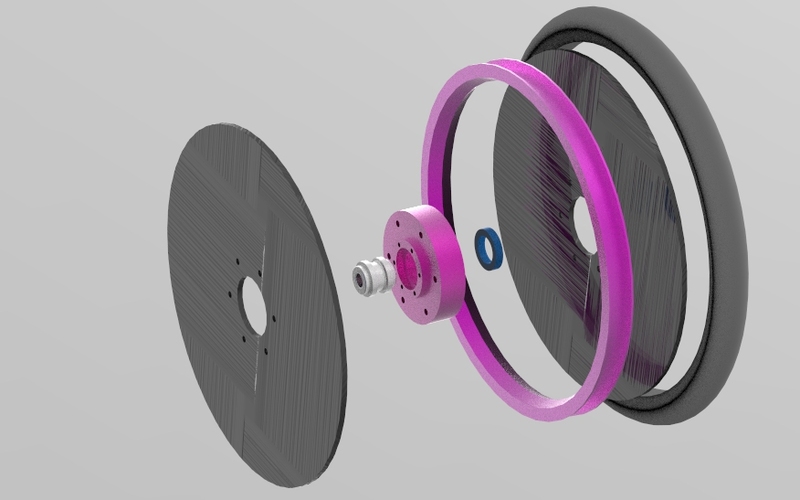 This led to our second design iteration – instead of bolting the hub around the carbon discs, the discs would be attached around the hub. This reduced the complexity of the hub, reduced the number of parts we’d have to turn, and increased the bonding surface area on the rim, hopefully resulting in a stronger final product (in fact, my calculations say that each bond should be able to support 865kg – slightly more than we’re planning for 3galoo to weigh). This still allowed us to keep the front and rear wheels identical – a big benefit when it comes to keeping spares. Having covered how Ian uses our measured data whilst out on circuit in the last post (read it here: http://wechook.com/?p=518 ), I’m now going to cover what we can do with it when we’re not racing – be it in the pit lane or once we’re back home. The first step is getting the information from the car to my laptop. As long as we remember to put it in, the telemetry board will record all measurements to a text file on an SD card, which can then be easily transferred across to a computer. The system also transmits data live wirelessly during a race, but this is of little use when the car goes out of range or behind a tree – pretty much everywhere apart from Merryfield and Dunsfold Park. As an aside – I heartily recommend that any aspiring young engineer go out there and get some experience using MATLAB – it is easy to pick up and there is a huge wealth of help and support available online. As a data analysis and visualisation tool it far exceeds Excel, and will make a piece of work look far more professional! I use it extensively at work to perform simulations, automatically generate reports (automating a task that used to take hours keeps my manager very happy) and design control algorithms. From experience, I can also say that if I’d learnt to use it whilst at university, it would have made my dissertation project a whole lot more manageable, due to the Gigabytes of data that I was dealing with from incredibly high resolution measurements of impact data. Sales pitch over! 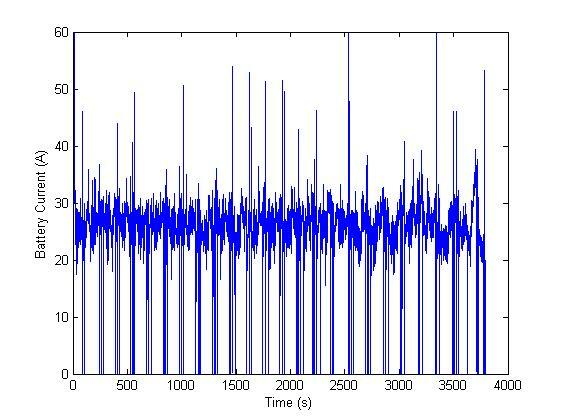 Once I’ve worked my magic with MATLAB and generated a report we can work out how much current and power we were using at any given point, and how fast we were running the motor. Using this approach with data from a run in practice, we can determine whether we can complete a full race distance at that pace without flattening our batteries (I’ve done plenty of battery testing, so I have a good understanding of how much energy the batteries have available). 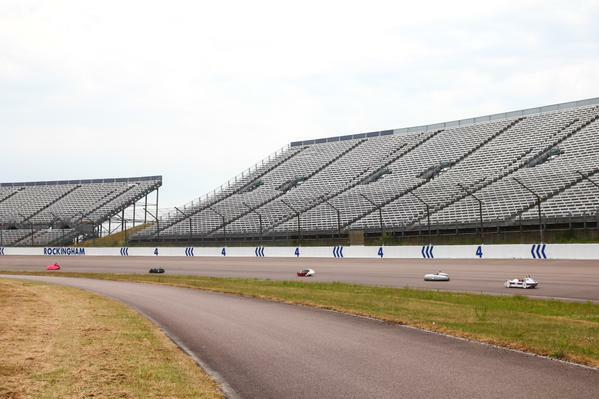 Based on the data from the Rockingham heat, we were able to plan our power usage for the Lap Race – we estimated how much shorter it would be than the standard hour and then determined how much more quickly we could discharge the battery. If you look at the two reports linked above, you can see that we drew just under 25Ah from the batteries in both events, but at a higher average rate in the lap race. Also shown in the reports are traces of throttle position and motor speed. Comparing the throttle trace from the Lap Race to that from the heat earlier in the year, it can be seen that Ian is performing fewer gear changes, and spending less time at part throttle. It can also be seen that motor speed tailed off much more quickly at the end of the Lap Race – we’re putting this down to the fact that we were using our best batteries in the Rockingham heat, but we saved them for the F24+ decider on the International Final weekend. We’re planning to extend our data collection next year to include wheel RPM (from which we can calculate vehicle speed, and determine which gear we were in) as well as motor temperature, to avoid the risk of cooking another one! With this data we plan to be able to run an improved race strategy in the 2016 season – instead of targeting a constant rate of discharge from the batteries, we will be looking at how we can most effectively convert each unit of energy into speed. Which brings me nicely onto the subject for my next post: Constant Current vs Constant Speed control! Seeing as we’ve been espousing the virtues of data collection of late, I’ve decided I’d best write at least a bit about some of the things we do with our data. I’m going to split this into two posts – the first covering how the driver uses the information during the race, and the second discussing what we do with the logged data in between sessions and race days, as well as what we’re hoping to achieve in the future. 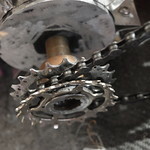 Motor RPM is also tricky to use – we know we need to keep the motor in its ‘happy range’ in order to keep power consumption low and stop the temperature from getting too high, but it’s difficult to plan a race using motor speed – without a good model of the motor, we don’t really know whether we need to hit 1750 rpm or 1800 rpm to make it to the end of the race! That leaves battery current as the most useful resource to the driver. We’ve done plenty of testing, which shows that our best batteries have a capacity of roughly 25 Amp-hours, when discharged at a high current. For comparison, our worst batteries have a capacity of 22Ah, which can make a big difference when trying to reach the end of a race. 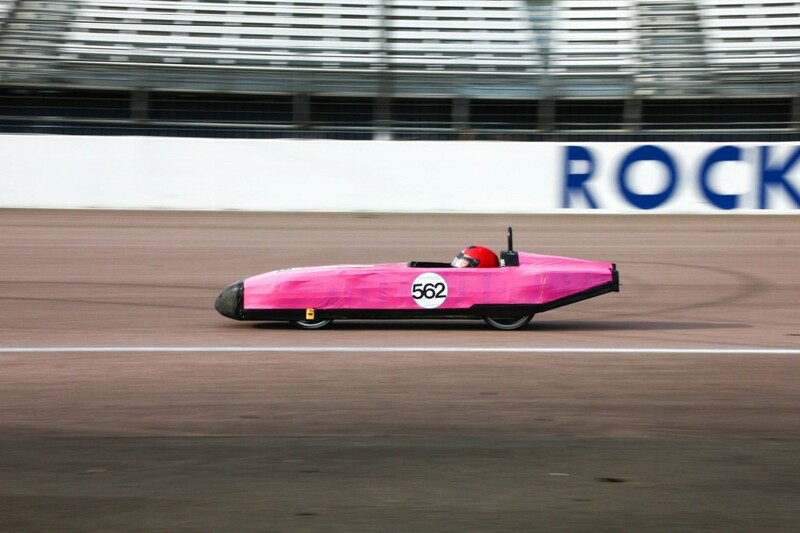 With 25Ah at our disposal, and an hours worth of racing to complete, the maths isn’t too hard; we need to hit an average of 25A over the course of the race to make sure we get to the end – simples! 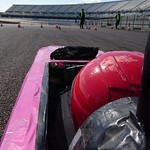 With a single speed, relay controlled car, this is achieved through selecting the right gear ratio – get it wrong and you won’t reach the end of the race, or you will get there but at a slow pace. Choosing that gear ratio can be tricky – for me it came down to experience and voltage measurements. I’ll discuss more on this in the next post though! Electric 2galoo had the luxury of a wide range of gear ratios, and a speed controller. By shifting up and down the gears and by varying the throttle input, Ian was able to target a constant rate of power consumption. At the International Final, this allowed us to control the rate that the battery went flat very nicely – gaining us a place on the last lap as the competition ran out of juice! The weChook Racing and Driven teams have recently launched a joint project (Project eChook Nano) to develop a standalone system capable of logging important telemetry data from a Greenpower car. 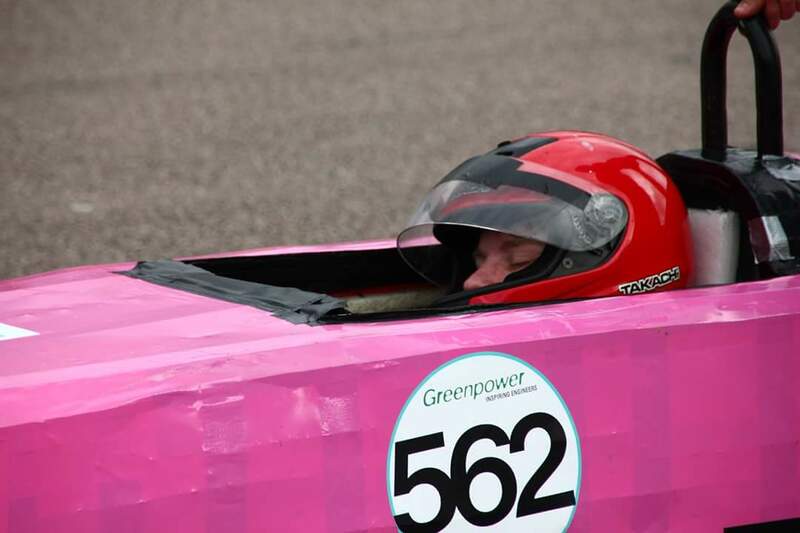 Both of our teams feel like we learn a lot from our current telemetry setups and that making this type of information more easily available for other team’s vehicles would be incredibly beneficial and would really help with the engineering and learning aspects of Greenpower racing. 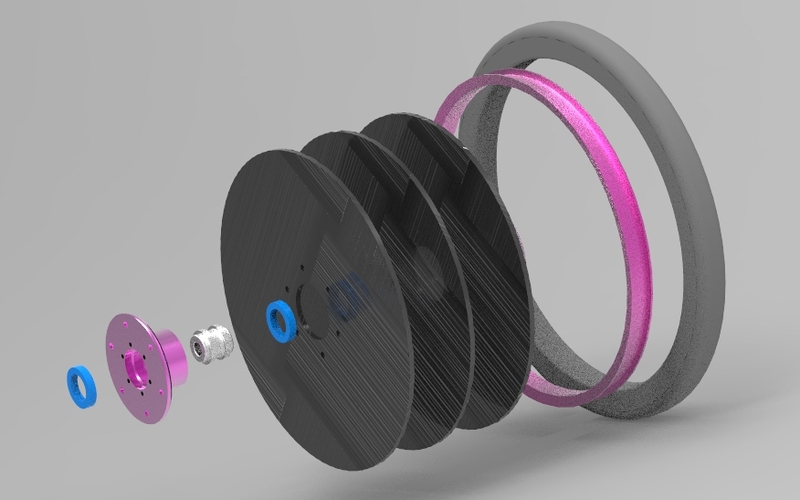 Our aim in developing this hardware is create something simple and affordable that will allow those teams without electronics experience to collect live data from their car for analysis during races, and as something to study in between events. It will be based around an ArduinoNano, and be provided with the base software to perform standard logging functions, whilst giving the students the opportunity to implement their own code to customise the functionality as they see fit. The hardware is designed to interface with an android app that Rowan has posted about on the greenpower forum here: http://www.greenpower.co.uk/forum/discussion/3335/data-logging-and-driver-information-display-android-app-offer. The hardware on the car communicates with the app via bluetooth, and can provide instantaneous readouts to the driver, as well as logging the information for later analysis. The app will also use the phone’s sensors to supplement the information gathered from the hardware. Our primary intention is for this to be a passive component, that can be added to a car with minimal disruption, and will not affect the actual running of the car – we don’t want to be responsible for taking someone out of a race! 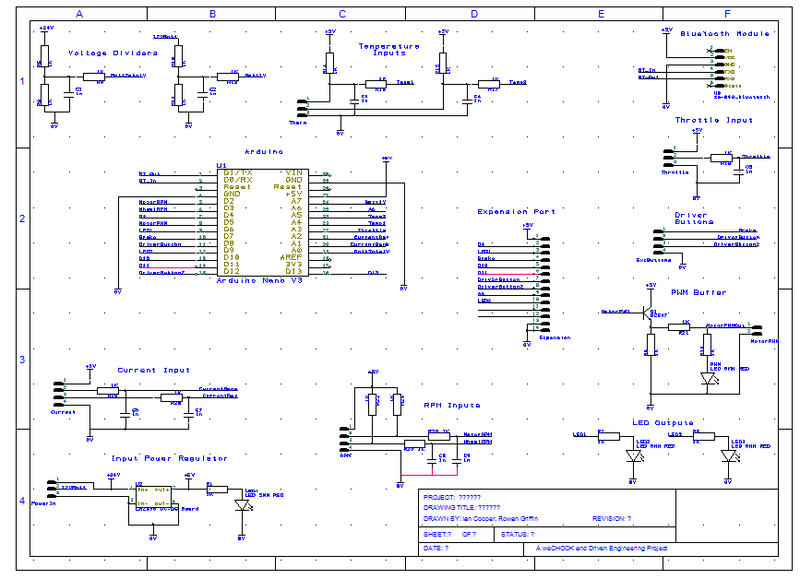 The pins are there however to receive a throttle position input, and output a PWM signal to a motor controller. Teams can pick and choose what sensors they feel are necessary for their learning, though we would suggest current consumption is the most interesting! We’re are currently working hard to get the base system cost less than £40 to make this accessible to as many teams as possible. Sensors are not included in this figure but most are cheap components (bar the LEM current sensor which can be found for ~£18). Due to the open source nature of this project we aim to provide teams with all the information required to source and put together the hardware themselves, but initially we will provide a ‘build kit’ so we can get some hardware out there in the field and get keen teams testing it as soon as possible. 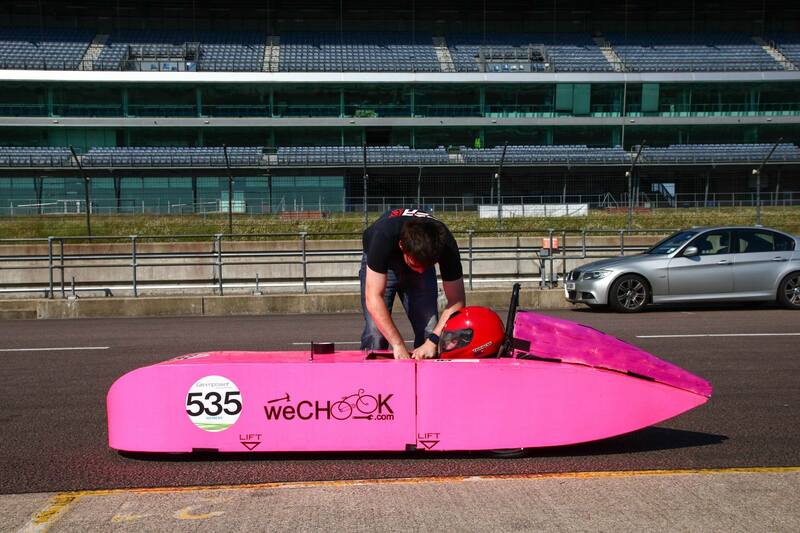 At the very least, we’ll be running the system on Electric TubeOfGlue (the weChook racing team’s development vehicle) for the season if no other teams are interested! Please get in touch with us on the greenpower forum (http://www.greenpower.co.uk/forum/discussion/3398/introducing-project-echook-nano#latest) or on Twitter (@Ramjet_gpt) if this is something your team would be interested in having or even being involved with. We have captured our ideas here but it would be great to hear from others on what is most important to their team. Best Regards from the team, Matt, Ian, Rowan and Ben! Day 2 started with a nice lie in. The car was pretty much ready .to roll, and with all the running on day 1, we had no real need to go out in practice, giving us plenty of time until 1 o’clock when the F24+ International Final & Corporate Challenge would start. 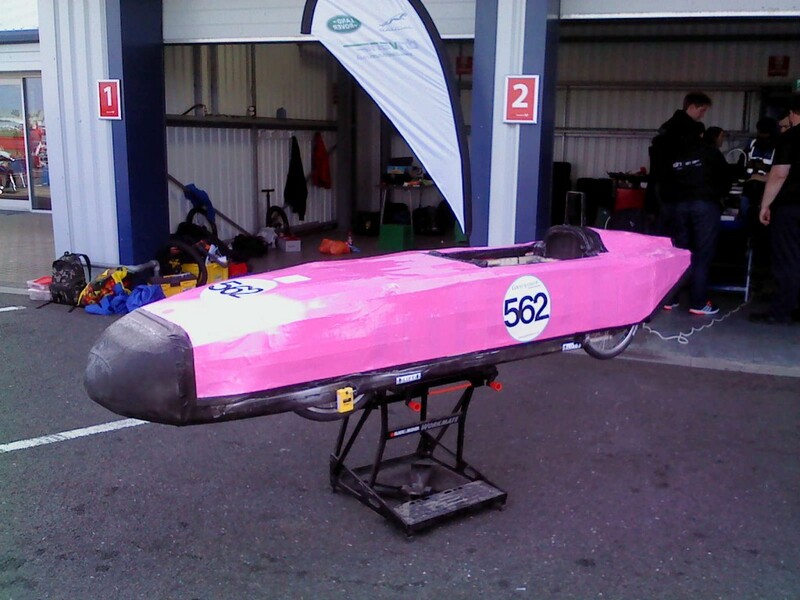 With the transponder fitted and the batteries nicely charged, we had a good look around the car for last minute improvements to be made – we ended up settling on redoing the tracking (again) and making wheel covers out of duct tape. On of the hardest things in Greenpower is quantifying improvements, but we think the wheel covers must have made a difference – despite being a longer race, our average speed in the F24+ Final was greater than it was in the lap race, and our fastest lap was 2 seconds quicker, despite using a lower amount of power per lap. We used the ample spare time available to us to watch the F24 race – a particular highlight was Viper dashing of the line and overtaking the pace car before the exit of the first corner – I suspect that driver wasn’t really listening at the driver briefing. A cleverer strategy would have been to hang and get up to race speed over the last quarter of the formation lap, ensuring the race proper was started at top speed. Seeing as we’re planning a new version of 2galoo’s bodywork before the 2016 season we decided to give the current edition a bit of a send off, by giving it some additional decoration… with help from my sister who was visiting, and from some of the JLR guys as well. We’d like to hope that Gav appreciated our support! 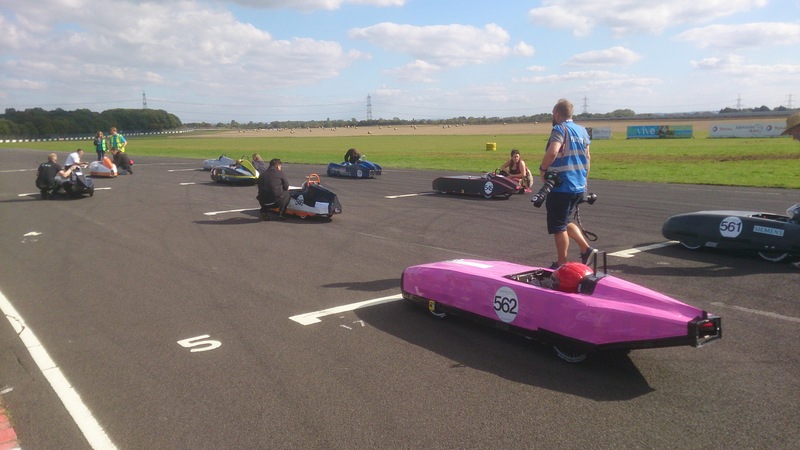 After another precarious trip up the banking, and a failed attempt to goad Dave Senior into a pushing race to the grid, we lined up in 6th place, behind Jet, Reprobation, F-eV, Bullet and Rotary Racer – all big names! After rather rudely snubbing Nash in our on grid interview (sorry again about that! ), the grid was lined up and ready to go. 2galoo shot off the line when the flag dropped, just about reaching 2nd place before the first corner. When the car next came into view from the pit lane, it had been overtaken by Jet 1 and 2, along with Reprobation, and was in close formation with Rotary Racer. We managed to hold them off for the first 3rd of the race, but their lap times held strong when we hit the same mid race dip that we experienced in the Lap Race on day 1. Probation and REC-349 had both dropped back a fair distance at the start of the race, but began to drag us back in in the last 15 minutes. With time for only 3 laps remaining, both of them caught and overtook Ian up the hill (we really need to look into some lightweighting for the driver) and began to pull away. We crossed the line with only 4 seconds to spare before the flag dropped, which pushed us into the longest race that 2galoo had completed. It appears that Probation had pushed just a bit too hard to get ahead of us before the end, as its speed dropped significantly as the hour mark passed, and we retook the position – unfortunately REC-349 was just a bit too fast for us. We finished the race in 11th place overall, and 9th of the cars competing in F24+ rather than the corporate challenge. It was a bit disappointing to finish outside of the points, but we were very happy with 2galoo’s performance, and had a lot of ideas on how to improve our performance for 2016 – both in the car and in race strategy. We also made some good contacts over the weekend, with whom we’re hoping to push on to greater success next season. The F24+ championship concluded with Reprobation 2 points ahead of Jet, an almighty effort from the Renishaw team to beat a car that still looked untouchable at the start of this season. Driven bettered their previous best ever season performance by finishing the championship in 3rd place, just ahead of the two Bullet cars from Silesian. Electric 2galoo finished the season in 8th place overall, just behind Minion and ahead of Project E. It was the 3rd highest place new car, and weCHOOK Racing was the highest place all new team. Thanks to building a new car mid season, we also managed to finish 25th with Electric Boogaloo! Next stop: I’m not sure really…. Goodwood maybe? The end of our first season came up quickly. It was less than a month since Electric 2galoo had been finished, and we’d already taken part in 4 races and finished on the podium twice, leaving us sitting in equal 5th in the F24+ championship, with Rotary Racer. We arrived at the circuit in good time, and were directed to our garage. We had great location, in between the Portuguese University, Silesian University and the two teams that had travelled over from America – the now established Team USA with ARES, and the new team from the University of Alabama with Shock. It didn’t take long for us to get through scruiteneering – we got there just before the queue got too mad! With our final sticker off the season on the car, we were ready for a few laps in practice. After our numerous calamities and failures at previous races, we were keen to put as few miles on the car as possible, so we only completed 6 laps in practice to make sure everything was running smoothly. We ran the stint as planned, and had minimal drop off, but were not overly happy with the pace of the car, being no faster than Electric Boogaloo had been the last time we had visited Rockingham. 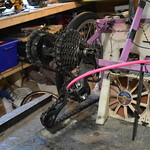 In between practice and the race we did some serious fettling – specifically retruing the wheels. Just pushing the car along the ground, it was possible to feel an improvement in how the car was running. Once we’d worked on the wheels, we downloaded the onboard logs from the practice laps, to check our current consumption was in a good range. Everything looked good – once the number of laps was announced we did a few quick sums, and realised we could up our power consumption by a couple of amps for the race. After all that, we still had plenty of time to go for a wander and and chat to the other teams in attendance. The story of Shock, from the University of Alabama, rang true for us – the two guys had built their car in the shed in two months. They’d also got it shipped across to the UK from America, so they were just slightly outdoing us there! The car looked very well made, if not a little large (just like our first car… but Boogaloo wasn’t really well made). We had a good chat about how they’d designed their car, and how to make sure they get to the end of the race. It got to 30 minutes before the race, so we strapped in the race batteries (not quite our best pair – we were saving them for the International Final on Day 2) and taped on the bodywork. 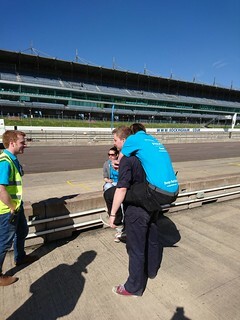 Ian strapped himself in and we wheeled ourselves out to the circuit. Our ridiculously huge turning circle meant we took a bit of an awkward route out to the grid, but we made it eventually. 2galoo was lined up near the back of the grid for the lap race – only the corporate entries were behind us, but we made a good start and overtook a good number of cars from the flag dropping to the first corner. The first 20 minutes went smoothly, we were 15s a lap faster than in practice, and we had a very gradual drop in lap time. Half an hour in, we experienced a sudden (and still unexplained) lap time drop of 10 seconds, then spent the rest of the race back at our gradual drop off of about a second per lap. 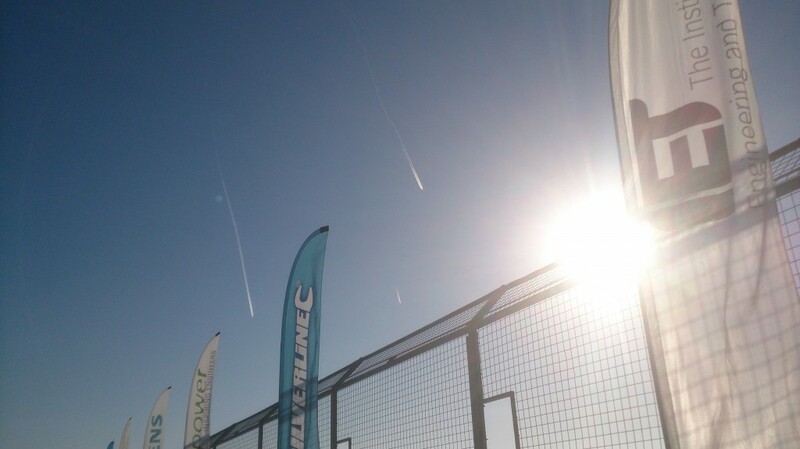 This phenomenon would return to haunt us on day 2, in the F24+ final proper. 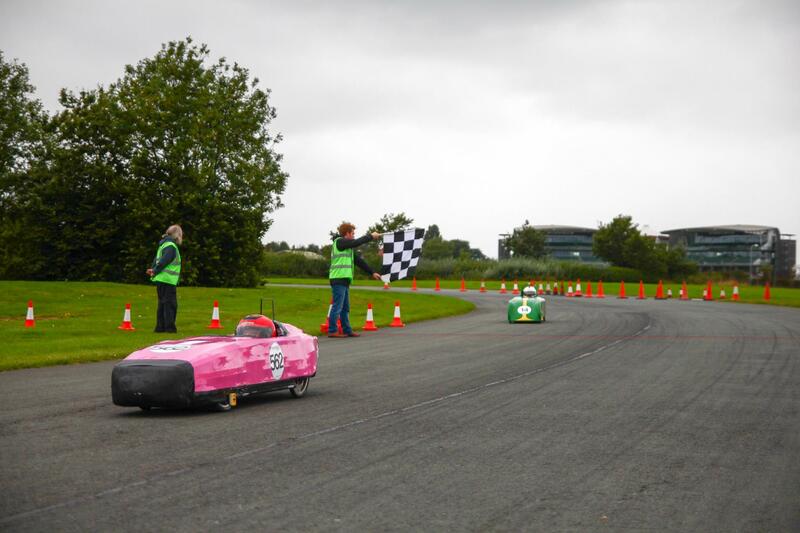 Regardless, we were reasonably happy with our performance, finishing ahead of cars from Renishaw, JLR and Lockheed Martin, and overtaking Minion on the final lap, as their batteries just gave up before the end. Jet 2, driven this time by Dave, beat Reprobation to the line, but only just, having run very low on remaining power at the end of the race! PSEM had a difficult time – they spent their last lap going at less than walking pace, eventually making it into the pits after being lapped a number of times. It turned out they’d hit the batteries way too hard, and in doing so had overheated the motor – it was at 80 degrees when i got to it with a laser thermometer, and it had been off for a good while by that point! We had a good discussion about race strategy and using gearing to manage current, before they set off on a marathon upgrade session – they were still in the garage long into the evening when we had cracked on with the beers! With the end of the F24+ Lap Race, day 1 of the International final was pretty much done for us, so we prepped what we could on the car (That car has been tracked so many times now that we’ve got it down to a fine art) and made sure day 2’s batteries were on charge, before retiring to the campsite, for some beers, food and sleep! This came around quickly – it’s already the final heat of the 2015 season! It barely feels like last week that we started out building Electric Boogaloo, and here we are 7 races and a whole new car later, with only the International Final to go! 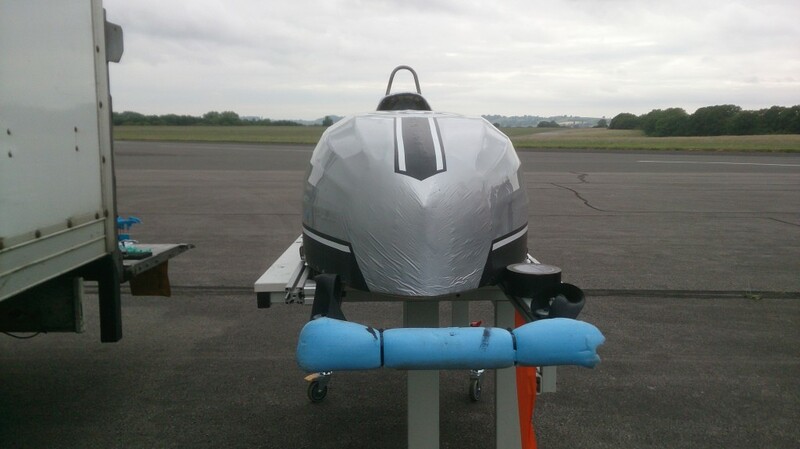 We managed a few tweaks to Electric 2galoo in the couple of days since Aintree – one of the wheels had a solarfilm cover added, along with a sharper knife edge at the tail of the car and some flaps to extend the bodywork down around the wheels. No massive improvements in pace were expected from these changes, but every little helps, and we hoped this would give us an idea what would help before the final. Castle Combe is only 70 miles from home for us (and no one from Driven wanted to camp) so we set off early in the morning for the track. 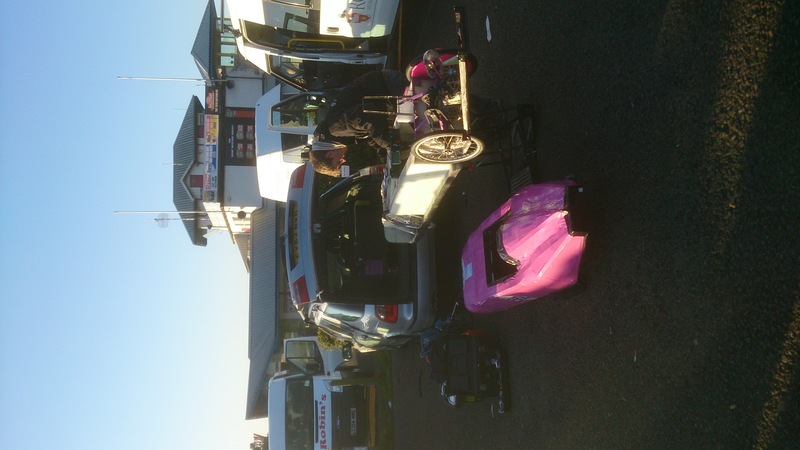 We ended up following a Citroen Saxo with a suspiciously large box on the roof, which turned out to be Nathaniel of Stealth Racing, who was also travelling to the track having recently started at university near to us. We did some faffing in the paddock, which meant that by the time we were ready, the scruiteneering queue was all the way around the car park. Thankfully, Josh gave us a bit of special treatment (I’m sure he was just looking for more things to get us to change before the final), giving us a bit of time to prep the car before practice. As ever, practice proved to be stressful. Ian headed off onto the track, and never came back into view. I eventually got a report from the recovery driver that he had pulled off the circuit somewhere around the Esses, and was playing with something at the back of the car. 18 minutes after he left, Ian returned to the pit lane, with the news that there was a loose connection in the motor controller, that he had ‘fixed’ with some of the duct tape that was previously holding the body on. Almost as soon as we headed back onto, the red flag came out for an incident that was out of view from the pit lane. 2galoo was the first car past once the red flag came out, and began drifting towards the marshall when applying the brakes heavily, due to a slight imbalance. Another trip to the pits followed to sort that problem, before we finally got a proper lap in. The batteries had taken a battering before we actually managed a timed lap, but we ended practice with the 6th fastest time. In between practice and the race we made a few more tweaks – thankfully, we didn’t have to hunt down a welder this time. We could tell from the tyre wear that the front wheels were in need of tracking, and some more tape was needed, but otherwise the car seemed in fine fettle. We spent the rest of the break investigating some of the new additions to the field; it was the first event for Jet II (Scramjet? ), and everybody wants a look. It was pretty obviously only just finished – we wandered across as the cockpit opening was being cut into the bodywork, and the car was still covered in carbon dust when it was wheeled to the grid – and the team were playing down their chances, but we all had high expectations nonetheless! 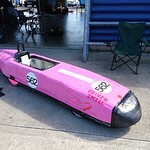 Jet II and Electric 2galoo are race numbers 561 and 562, so we would be starting next to each other on the grid! Also in attendance was the heavily upgraded Stealth – with smaller wheels and a completely new set of bodywork, they were hoping for a similar step to that which we had over the summer break, if not more. The team is new to F24+, and I see I see big things if they stick with it. The time for chatting quickly evaporated, so we installed our race batteries and set off for the grid. After a slight altercation with the recovery vehicle, which was coming the other way, we were the first in line to be wheeled out, which would have ensured us a first row start in the olden days… all it meant this race was that we were really in the way! It wasn’t too bad of a spot, we could admire Jet II (Turbojet?) whilst Sandbach to make their way to the track. Eventually, the grid was formed, and we were ready to go racing! Ian got a lightning start, managing to pull up alongside F-eV, which started a couple of rows ahead, by the time the first corner was reached. 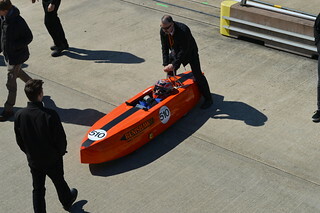 There was no settling into this race – Ian spent the first 40 minutes of the race of the race fighting for position with Stealth and REC-349, the ever improving car from the Renishaw apprentices. After changing position nearly every lap for three quarters of the race, Ian eventually began to pull away from Stealth; which was showing the first signs of battery degradation, and closing down the small buffer that REC-349 had built. At this point I was a nervous wreck on the pit wall – I couldn’t tell if Ian was abusing the batteries too hard to race the cars around him, or whether he was taking it at our pace, and the cars around had been too aggressive. With 5 minutes of the race left, Ian unleashed the reserve amps, and increased speed to overhaul a 15 second gap and overtake REC-349 within a lap. It seemed he had power to spare, pulling out a 36 gap on the last lap of the race, as REC-349’s batteries dropped over the edge, having been pushed too hard trying to hold onto the position. We finished in 5th – our original target position – in what we both agree was one of our best races yet, even if we weren’t fighting for a podium. 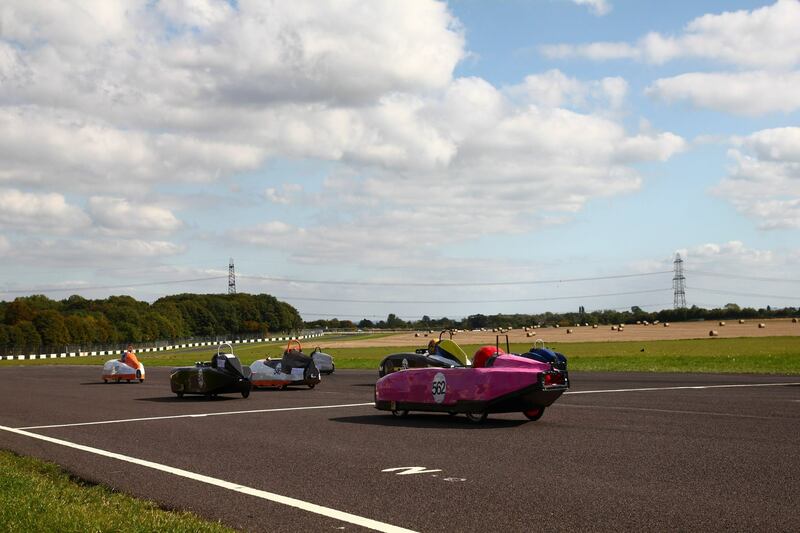 Elsewhere, Project E put in a cracking performance, with a massive improvement in pace since Aintree, beating us fair and square despite suffering a puncture on the last lap. 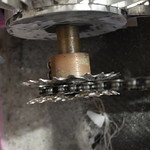 F-eV suffered a ‘chain off’ early in the event, and used to opportunity to gear up significantly, presumably as a test for the high speeds expected at the International Final. 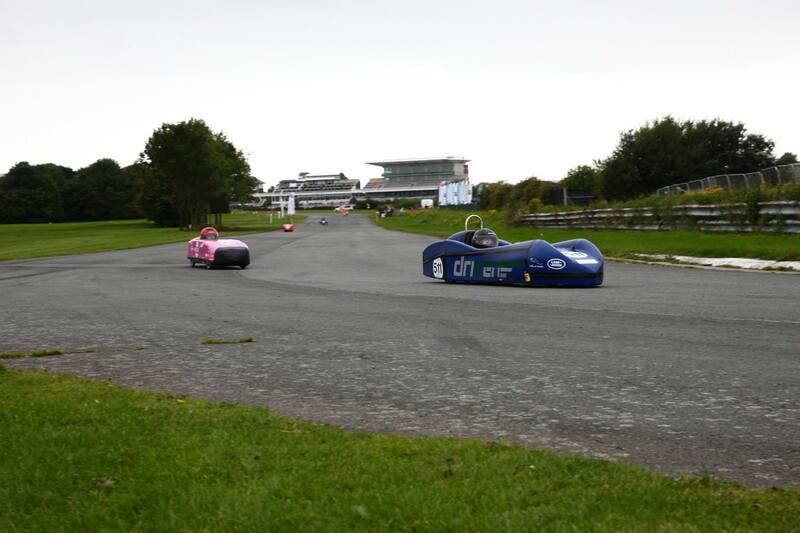 At the front, Reprobation took the win, but massive credit has to go to Cullimore Racing for taking a 2nd place only 10 seconds off the lead, with a car still missing most of its aerodynamic devices, and that had only performed a lone installation lap before the start of the race. After the race, we had a quick pow-wow with some of the other F24+ competitors, before talking through our electronics and data logging package with the judges for the Siemen Digital Award. After all the nattering, it was only a few minutes until the prize giving ceremony, at which we were very happy to have been given the aforementioned award! I shall certainly endeavour to write a full blog post over the winter break on our telemetry, logging and data analysis methods, along with publishing some of our reports to give other teams an idea of what we’re doing. Greenpower even organised some good weather for us! We set off soon after work on Tuesday, and hit a remarkably low amount of traffic on the way to the track. This time, we met Driven at the circuit, having been allowed to camp for the night within the track limits. After wolfing down a KFC and a beer, we hit the sack early to be well rested for the race day ahead. Camping at the circuit gave us a nice lie in as well! We were woken up by the heavenly sound of a track sweeper – with many punctures in the last two races at Aintree, I was hopeful that this would make everyone’s race a bit safer. Our pit box was set up before 8:00 am, and through scruiteneering by 8:30 – our quickest ever start to the day, giving us plenty of time to get ready for practice. Looking at the competition, JLR were represented by Project E and F-eV, whilst Renishaw were represented by a comparatively small contingent – only Reprobation was in attendance. Cummins had a new car – Mach 1 – with a very tidy set of bodywork but little running time so far, and Sandbach had Dylan, their newest car, seemingly ready to roll. I would have liked to have had a closer look at Dylan – Sandback have come up with plenty of interesting ideas before, and I’m sure there are plenty on Dylan as well. I expect there’s still a bit of work to be done though, as it was beaten reasonably soundly by Dougal. Sadly, there was no sign of Jet II this time around – we await Castle Combe with baited breath. Practice started poorly for us. Ian completed 5 laps well off the pace, behind F-eV and Reprobation, which was to be expected, but also a long way behind Project E and Mach 1, both of which we were expecting to beat. Unfortunately, the 6th lap never came – 2galoo had pulled off to the side of the track with yet another steering failure. This time around there was no panic – one of the marshalls pointed us towards a local garage, who quickly had the offending part welded back together. What’s more, we’d finally isolated the root cause of our problems. As long as we’re correct in our analysis, we don’t expect to see any repeats. The car was reassembled and ready to go with an hour left before our race, so we used to opportunity to fraternise with the enemy – we were particularly impressed with Cummins’ heat sink. After discussions with the team however, we had the impression that they would be running too hard in the race, and would likely run out of batteries well before the end. This was a valuable insight – we ended up behind them at the start of the race, but knew not to wreck our batteries in the first 20 minutes getting past them. We lined up on the front row with F-eV and Project E, with Reprobation starting from the pit lane after detecting some bodywork rubbing. The start went well for us (despite a massive jump start from Project E) and we led into the first corner, where the cars went out of sight. Once they’d come back into view on the back straight, we were down in 5th place, behind the 4 cars that were ahead of us in practice, with only a few seconds between us and Mach 1. Fortunately, after the repairs, we’d gained about 20 seconds a lap, which put us right back in the mix. With the long climb up the back straight, we’d agreed to take a conservative strategy, to we had the battery voltage left near the end of the race to pull ourselves up the hill. With this in mind, we sat behind Mach 1 for the first 5 laps, trying to extract a tow and managing our current. Cummins’ new car quickly began to drop of the pace, and we moved up to 4th. We immediately started to close on Project E, and were past a few laps later. At that point, the race looked to be settled – Reprobation were pulling away from F-eV at a good rate, and F-eV was still pulling away from us about a second per lap, with neither car looking to run out of power any time soon – but as ever, Renishaw spiced things up. This time, Reprobation skipped a chain, just in sight off the pits on the back straight, but out of range for support. Matt pulled off a heroic fix at the side of the track, and had the car running again 3 minutes later. By this point he was down in 4th place, but really put the hammer down – at one point he was 20 seconds a lap faster than anyone else out there – and had the lead back with a plenty of time left. After that drama, we sat in 3rd place, reasonably unthreatened, but without much chance of catching F-eV ahead of us. We were happy to see the end of the race without issue – the championship points were very much appreciated. Maybe breaking steering components is a sign of good luck for us! We were very pleased to receive the IET Engineering award for Electric 2galoo, it’s great to see that our version of engineering is just as appreciated as the heavily CAE influenced design ethos espoused by JLR and the like. We’re off to Combe next, hope to see you there! 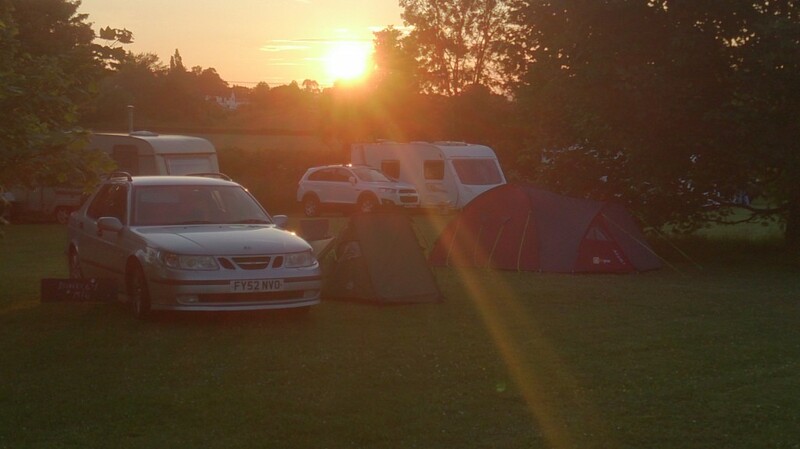 We were back on the camping for Dunsfold, and Saturday was unprecedented – we were packed and ready to go 2 hours ahead of schedule, leaving us with absolutely no idea on what to do with ourselves. As we I would soon find out, checking that I’d remembered all the bits of my tent would have been a fine start. The run down to Dunsfold went smoothly, with Electric 2Galoo successfully remaining on the roof of the SAAB. The ‘low slung sports wagon’ didn’t enjoy the road into the campsite, but it managed all the same. Having assembled my poleless tent using some cable ties, a van and my ingenuity, the campsite was set up, and we headed off to the local pub for some well earned grubs and a pint or three. After a thankfully windless night, we left the campsite miraculously on time, and headed off for the circuit. We (nearly literally) bumped into the greenpower wombles towing a selection of portaloos when we got to the track – the rest of the world had been covered by a thick blanket of fog, which managed to lift itself just in time for practice. Our first puncture of the day somehow managed to occur getting 2galoo off the roof of the wagon, causing some early morning consternation before scruiteneering. A quick change from Ian saw us get in the queue to have the car checked in plenty of time, and we had passed with plenty of time to go before practice started – in fact we even had time to walk the track, spotting the large landing lights that really needed to be avoided. The second puncture of the day occurred almost immediately upon leaving the pitlane for our first practice lap. Somehow, even with a puncture, Ian set what would turn out to be the 13th fastest practice lap! We got the car back in, and changed the tyre for a second time, before getting getting back to the pitlane, hoping to collect some useful data before the end of the session. Unfortunately, on the second corner, the jolt of running over a landing light caused a steering component to shear (having probably been overstressed after running around for 5 laps with a puncture). On getting the car back on the recovery wagon, we discovered that the failure was not something we would be able to fix without a welder. A frantic dash up and down the paddock revealed that no one had bought any welding gear with them – the best offer we had was a soldering iron, which probably would not have done the trick! There’s no way we could go racing without getting that component fixed, so it was beginning to look like we’d be going home early. We were just about to give up and offer our assistance to Driven, when Jeremy pointed out that we had driven past an industrial estate on the way into the circuit. With 90 minutes to go before the race, if we could find someone who would lend us a welder, we could feasibly get the car fixed up and ready in time for the start. In the end it took us about 30 seconds of searching before we bumped into Andy, who was doing a bit of catch up work installing a new clutch to a Golf in his workshop. He kindly offered to weld our bracket back together, and even added a very tidy (and much stronger) reinforcement, which would hopefully prevent any recurrence of the failure. Many thank yous and a dash back to the paddock, and Electric 2Galoo was back on 4 wheels. We were the last car that made it to the grid in time for the start, having taped the bodywork down and wedged Ian in as quickly as possible. Ian didn’t really know the racing lines, neither of us knew if the car would survive mechanically, and we had no idea how much power we’d be using over the course of a lap. It was a stab in the dark (thankfully not in the fog as well though)! With a few steady laps to get the lay of the land, 2galoo settled into 4th place, behind Jet, Reprobation and F-eV, but ahead of Rotary Racer and (most importantly) Project E. If someone had offered to the finish the race then, I would probably have taken their arm off! The first 30 minutes of the race saw brilliant consistence from car and driver, managing 17 consecutive laps within a 2 second window. It was towards the end of this stint that F-eV began to start slowing down, and the gap between us and 3rd started to decrease. With 20 minutes to go, we were right behind them, and it was obvious from the noises at the rear end of F-eV that they’d developed a slight issue, but not one that was dramatically slowing them down. Frantic discussions were in progress in the JLR Driven camp about retiring the car to save it for Aintree and Castle Combe, when Reprobation pulled off into the pit lane from the lead. 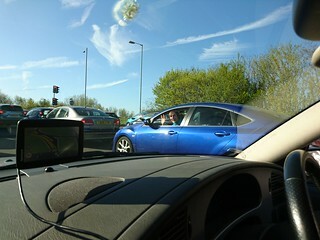 (I haven’t even mentioned the excitement at the front! Reprobation had had the pace to overtake Jet, and looked like it might be able to hold on for the rest of the hour). This promoted F-eV to 2nd place – a position that would move them 2 points clear of Reprobation and Silesian in the overall championship if they could hold onto it. This made the decision for the team – take the risk and try to make it to the end of the race. A few laps later, Electric 2galoo sailed past the ailing F-eV, into 2nd place. Ian wisely reduced the pace at this point to conserve power – there was little chance of catching Dave, so all we had to do was stay ahead of F-eV… or so we thought. 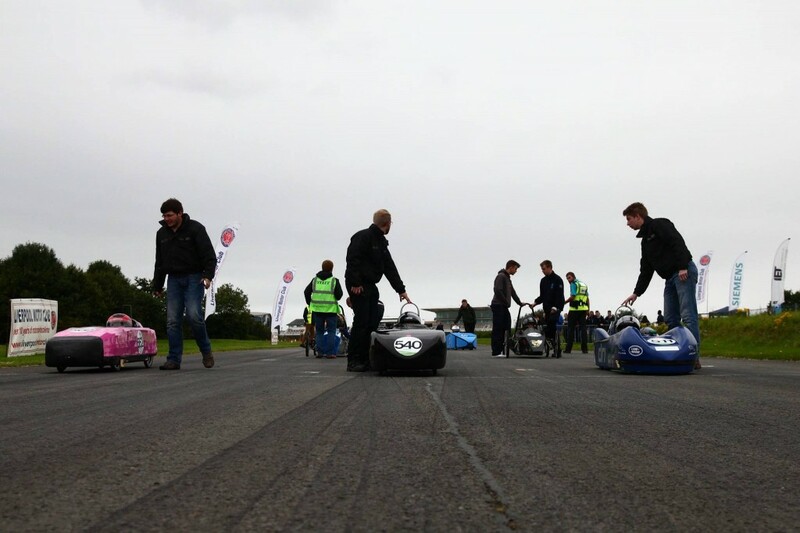 Rotary Race began to catch up, having barely suffered any speed drop off at all – overtaking first F-eV and then Electric 2galoo. A podium finish would have been plenty after the morning we’d had (and with all the bits of the car that really hadn’t been optimised yet), but fate intervened again, and with time for only a couple of laps left on the clock, Rotary Racer also pulled off the track with a puncture, promoting us back into 2nd place. The final bit of icing on the cake was managing to unlap ourselves with a few minutes remaining! I don’t care how easy Dave was taking it, it’s still pretty satisfying to see your car go past the dominant force for the last few years. What’s more, it saw us finish the race on the same lap as Jet (and at one of the shortest circuits), something that I don’t remember having achieved before. We were delighted also to receive the ‘Spirit of Greenpower’ award in the prize giving ceremony, it really did top off the day for us! Many thanks to everyone that gave us a hand, advice or just some kind words when all looked to be going wrong, we wouldn’t have managed without it! Elsewhere in the field, REC-349 really got into its stride, finishing in a season’s best of 4th, and beating both of its big brothers. Its lap times were super consistent, showing good aerodynamic efficiency and power management – maybe it could/should have been going even faster and threatening F-eV. There was great news also for EMF Racing, scoring their first points of the season, after we had some close racing with them at Bedford, where they just missed out in 9th. A massive well done to the Arthur Terry School for a cracking performance to win the kit car race in F24 – they managed a 90 minute race with driver changes at a high average speed than the kit cars competing in F24+ did! 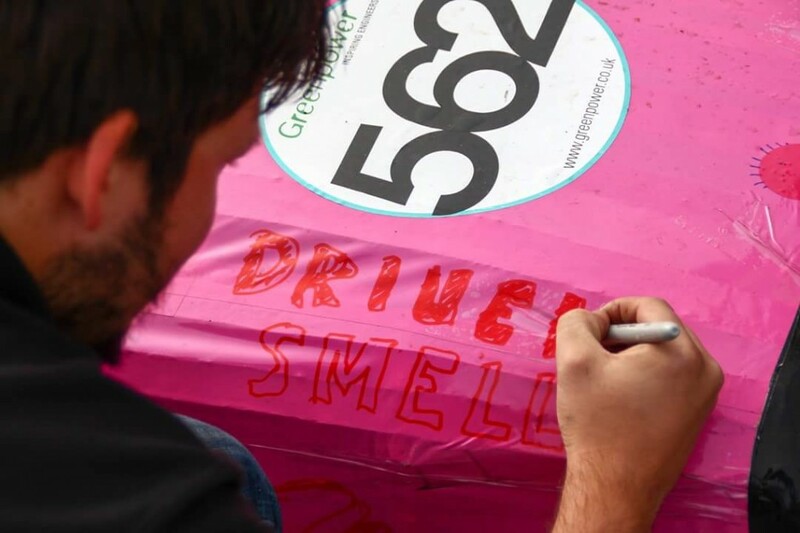 I’ve supported Greenpower at a couple of events in the NEC where both the pupils and supervisors have been in attendance – the kids really know their stuff, and it’s a pleasure to talk to them about the hard work they put into their car, so I love seeing them do well! Congratulations to Rotary Racer for winning both F24 races, I hope it makes up a small amount for the puncture in F24+, and of course, well done to Dave for a well managed victory in F24+. Now please stop keeping me on tenterhooks and get Jet 2.0 finished! Next Stop for us is Aintree… and I think we’re meant to be leaving right about now! After 10 weeks of solid work on the car (along with full time jobs, training, weddings, doing a house up and holidays), Electric 2galoo was ready for its first on track adventure. Due to the extremely condensed design and build period, testing had been incredibly limited, to the extent that the car hadn’t turned a wheel with the completed bodywork fitted. As such Bedford could really be considered as not much more than an extended test session, in order to iron out as many bugs and clashes as possible! Conveniently for us, Bedford is only just over an hour away from weCHOOK HQ, so we didn’t have to get up nearly as early as some other teams did! Ian spent the day before the race running a distance greater than a marathon, off road, and in Wales, so I was left to pack the wagon. 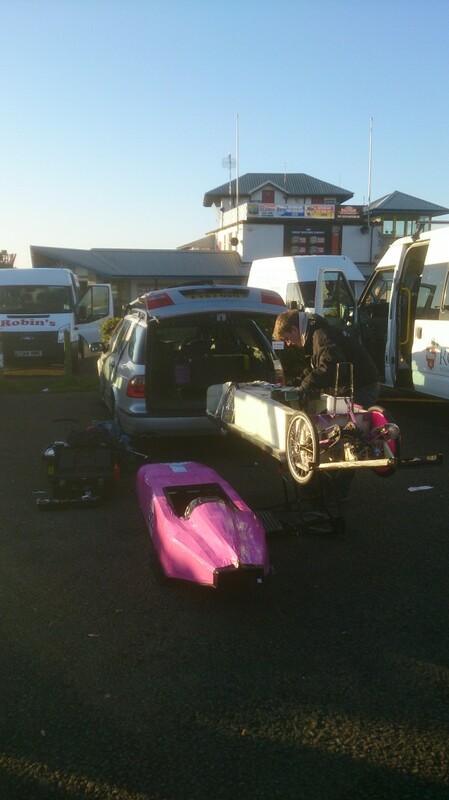 For the first time, the car travelled to the race on the roof rack, leaving plenty of space in boot for tools and the battery box. I only managed to forget the tyre pump, which is much better than usual when I’m left to pack! We set off in the morning at 6:30, reaching the circuit at 7:40, giving us a bit of time to set up our garage (that another team moved us back out of when we were in scruiteneering), and prep the car. As a brand new car, 2galoo had to go through a full MOT – after taking nearly an hour to get our original car through, we were a bit concerned that this might start eating into practice, but the staff were quick and effective, meaning we were finished in less than half the time! This left us with nearly the whole hour and a half of the test session to play with. A side effect of Ian’s mad mileage one Saturday was that he had become somewhat inflexible – so much so that he couldn’t contort himself into the car with the bodywork fitted! So, once he had got in, I finished taping the car up around him and sent him onto the circuit. The car ran for 15 minutes, setting times as consistent as possible considering the volume of traffic out on track, with no catastrophic failures (although a few non-catastrophic ones!). Ian’s main complaint was the lack of left lock, which resulted in him having to brake into the first corner each lap. A quick attack with the power file allowed a couple of extra degrees of steering, although the car was still severely lacking in right lock, which remained a mystery until later in the day. We noticed a few more problems – the tail had slightly debonded from the rest of the chassis, almost certainly caused by the shock loading from the ‘jump’ halfway around the circuit, and the motor had come loose in its bracket, which was a surprise considering how many times it was checked before we sent the car out. Resolving these issues was relatively quick, and we sent the car back out. The changes gave us a 5% improvement in lap time, but we ran out of test time to see how much quicker we could go. Encouragingly, we were much closer to the fastest cars than we had ever been before, even with a car that was still very much in development. In between practice and the race, we made some more changes – new tyres were put on the front wheels, more dust was created in opening up the steering angle, and a spacer was added to the left front wheel to correct the camber. The final job was getting the car tracked correctly, before taping Ian back in and wheeling him to the line. An immediate problem emerged, in that the car could barely turn right without the wheel rubbing on something, which hadn’t been a problem in prior testing. There wasn’t time to fix this as we were already on the way out to the grid, and fortunately we would only be going left on the track. We settled in just behind EMF X1 of EMF Racing, and set very consistent times for the first 30 minutes of the race, but we were nowhere near the speeds we had achieved in practice, even with slightly less traffic on circuit. As we passed the 35 minute mark, with 26 laps completed, Ian felt a change in the car’s handling on the back corner, and immediately bought the car back into the pit lane. With the bodywork off, we immediately noted that the front wheel’s we had developed some severe toe out – one of the front headsets had come unseated, resulting in us dragging the left tyre around the straight bits of the circuit. This had taken the left tyre down to the canvas in places (if Ian hadn’t bought the car in, the tyre would have only lasted a few laps more), on a track layout that should abuse the right tyre much more. Because of this, we decided to retire from the race – happy that the car had not had any disastrous issues (powertrain, bodywork and electrical systems were all top notch), and confident that we at least had a much more competitive baseline than we did with Electric Boogaloo – the effort was worth it after all! We did go home with a number of jobs to complete before the next race (including a few more that we discovered once back in the workshop), but nothing anywhere near as challenging as completing the car on time in the first place! Congratulations to Dave on another victory, although we may have had a closer race had Reprobation not suffered from a number of reliability issues, and eventually retired. Great work also from the greenpower staff – scruiteneering was the smoothest I’ve ever seen it, and it wasn’t too chaotic with the density of cars and people in such a cramped pit & paddock area. We also enjoyed espousing the virtues of Electric 2galoo to the two judges from Red Bull, as well as all of the other interested parties that came and had a look – I hope we managed to give at least one person we talked to a bit of inspiration to do their own! Shockingly, Rockingham did not begin with the customary camping trip. Being just over an hour’s drive away from weCHOOK Racing HQ, and a midweek event, we took the hit and left off early at 6:30, to try and miss some of the traffic on the M1. We weren’t all that successful. We arrived to find plenty of teams already in attendance. A lot of the big players were there for the heat – Jet, 2 cars from Renishaw, 2 cars from Silesian, 2 cars from Reel Racing (from the top of Scotland), 2 cars from Driven, 2 cars (but no Dylan) from Sandbach, and Rotary Racer. 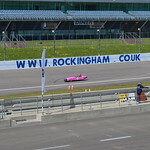 It wouldn’t surprise me if Rockingham will have been the most competitive F24+ heat of the year! 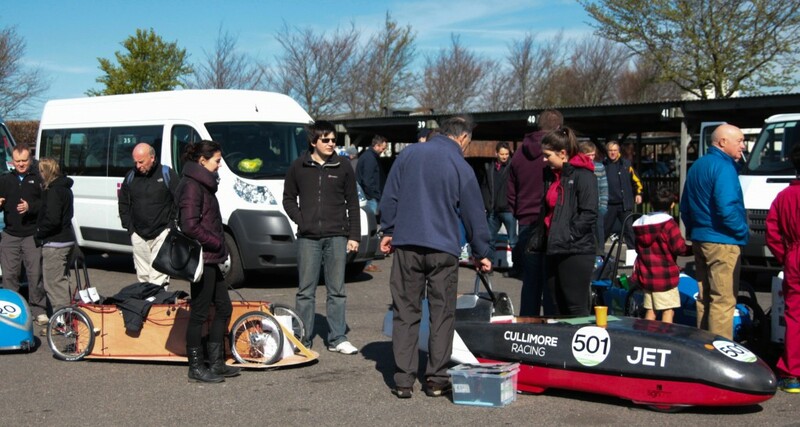 There were also plenty of brand new or nearly new cars there, including us, Stealth, Perkins and Bournville College. 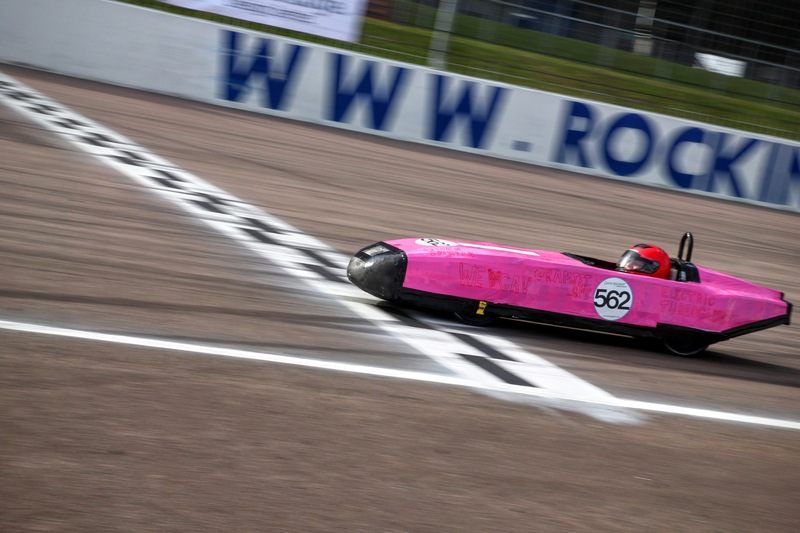 We ended were sharing a pit box with Reel Racing (who put us to shame when we were complaining about the distance we’d have to drive to get to Croft) and Bournville College, who were attending their first race, and had plenty of questions about Electric Boogaloo! One of the best things about these events is how open to talking about their cars (almost) everyone is, and its great to be able to talk about engineering on an equal footing with many of the kids involved. I’ll always consider it to be an educational engineering event first and a racing event second, so if I can learn something or help someone else to understand something I’ll count it as win, even if the car’s last out on circuit! 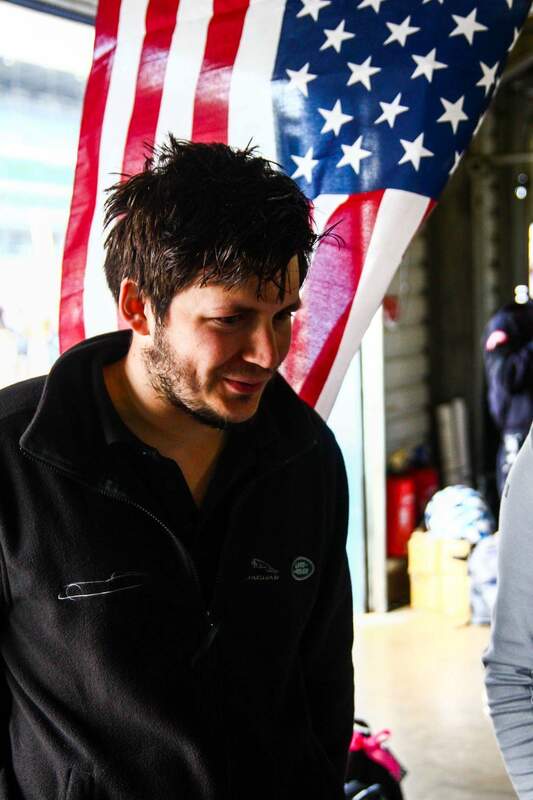 The Greenpower staff looked more stressed out than ever – with the massive number of teams in attendance, we experienced our first ever ‘dual scruiteneering’ thanks to Stewart. We got through quickly and with no rectifications to be made, leaving Ian and I plenty of time to talk strategy! 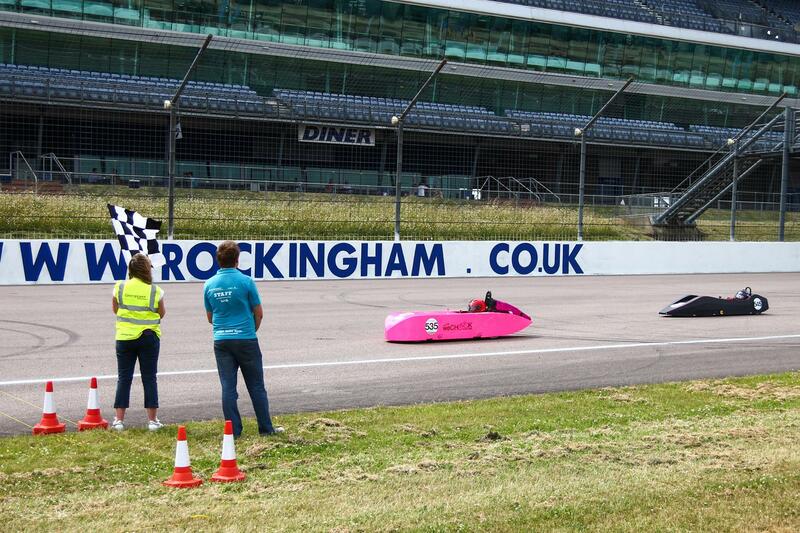 Rockingham was the first event to which we’d bought our full sensor set up. After spending Tuesday evening sorting out data typing issues, we had Motor Current, Motor RPM, and a very noisy Battery Voltage signal being transmitted wirelessly to the pitlane, displayed on screen to the driver, and (probably most importantly) logged to an SD card. There’s a few more sensors to be added (wheel RPM and motor temperature are the first two that come to mind), but the core of an idea that we had at the start of 2014 is now in place: All the necessary data collection (and tools to analyse it) to do 5 laps in practice, then come in and decide exactly how to use our gearing in the race. The new sensor setup had a second purpose. We were still lacking in a really effective motor cooling solution – we had some PC fans blowing air over the motor case, but only a few small heat sinks attached to the shaft. Merryfield had seen the motor casing hit over 100 degrees, and we were keen to avoid doing this again, as it could well have ended the race. Seeing as we couldn’t get heat out of the motor very quickly, we had to manage the amount of heat that we were putting into it. Using the readout of current in the cockpit, Ian could use the gearing to control the current, attempting to maintain an average consumption of ~24 Amps, and not allowing peaks of over 30 Amps. The visible effect of this strategy was seeing the car blasting down the hill at near the speed of the top competitors, and then slowing right down on the way back up again. I’m tempted to break into pontification about ‘Constant Speed’ vs ‘Constant Current’ control, but I think I shall dedicate an entire post to that at a later date. Having invested in a third pair of batteries after Merryfield, we had a bit of leeway for our testing in practice. We ended up running two stints, totally 16 laps. The first was to allow Ian to get used to using the gearing with the current sensors, and to get baseline on our power consumption. The car was behaving well, setting the highest speed lap that the car had achieved up until that point. Using the data collected in the first stint, we selected some areas of the circuit to deploy more power, and areas to conserve power. In this way, in the second stint we managed to increase speed by another 2 mph, without increasing total power consumption. Having nailed down our strategy in practice, we did some final setup and waited for our race. We used to break to poke around some of the competitor’s cars, in particular investigating the maximum steering angle of Reprobation and Silesian’s Bullet cars. It became apparent from this just where we were losing out – both of them had a tiny frontal area compared to Electric Boogaloo. We also had an entertaining interview with Gav! We lined up about halfway down the grid for the race, and got away relatively quickly. By the end of the first lap, we’d dropped down the field by a few positions, but we were keeping power consumption under control. As the race wore on, we began climbing back up the field, aided by both Stealth and Silesian’s Bullet II running out of power. in closing stages. We ended up just outside the points, but with the quality and quantity of the competition, this was a more impressive result than the 7th place finish at Merryfield. Just beating Stealth to the line! We left the event with good confidence in the potential of the powertrain, but knowing that we’d never be truly competitive with car in its current form, due to its size. So, Rockingham turned out to Electric Boogaloo’s final race, and I should probably get back to finishing off the new car! As it often does, our race day started the evening before, by packing the wagon and heading down to a local campsite. As a slick and streamlined operation, we had the car packed in about 15 minutes, and started our cruise down the M5 in good time. We were quickly joined at the campsite by our regular camping buddies – Driven – and enjoyed a few quick drinks before hitting the rollmats. Morning came around and we packed up, set off, and got to the track all in good time (a first!). Registration and scruiteneering were dealt with quickly (although not without Josh taking a worrying number of photos of our car), leaving us with time to spare before practice began. We took the opportunity to poke around the cars of some of our competitors. 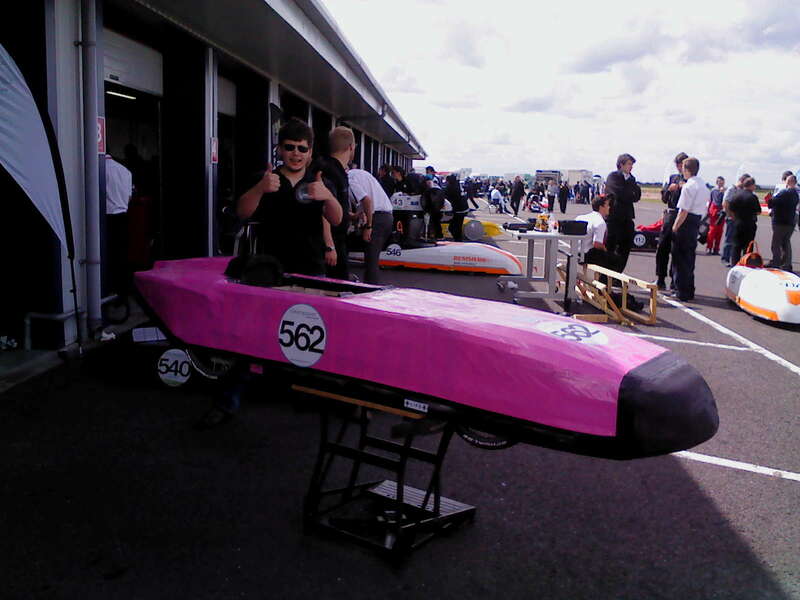 We were particularly interested in a new privateer entry called Stealth, which made interesting structural use of foam, and ‘borrowing’ ideas from Renishaw on how to make lightweight, streamlined bodywork. By this point we had realised that our bodywork was simply too large, and had begun planning our the rework to occur in the mid season break. Reworking eventually became starting again from scratch, but that’s a subject for another blog. Performance in practice didn’t look too bad, with us sitting just behind Project E, but ahead of Rotary Racer, one of Renishaw’s cars, and Stealth. The lap times were unfortunately only half the story though; the front tyres had been shredded, and we were drawing an average of nearly 40 amps, meaning we’d never finish the race. The tyre shredding was being caused by the car’s tracking being slightly off. Fixing this (with some help and kit from Driven) dropped the average current consumption by 15 Amps, but still left us consuming far too much to make the end of the race. With the risk of not finishing, and completely cooking the motor over an hour of running, we decided to take a conservative approach, lifting and coasting around the corners, and running much higher gear ratios than we had in practice. These changes cost us around 3mph over the race, but made sure that we saw the chequered flag. We dropped back at the start of the race, but by the end of the hour had made our way to a points paying position, thanks to the failures of other cars. At the event we took the opportunity to buy two new batteries, taking us to a total of 6 (a necessity with the new format of the International Final), and a new motor, as we were reasonably sure at this point that we had irreparably damaged our original (more on that in another post as well). We left Merryfield with our first race finish (Hooray!) and our first points of the season (Double Hooray! ), but also a much greater awareness of how much would need to be done to get to where we want to be. As ever when we travel to Goodwood, the event started on Saturday afternoon. Driven kindly offered to take Electric Boogaloo in their van, as our intended transport vehicle was suffering from being an Alfa Romeo, and could not be trusted to get there in one piece. 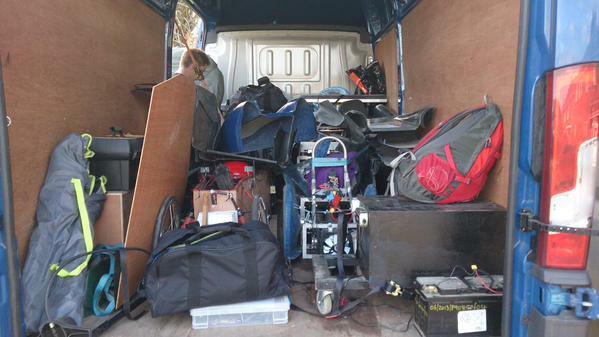 Once the van was seen off, we piled into the ST with our tents and set off down the M40. A couple of hours later we arrived at our usual campsite (which is just shutting down, what will we do?!) and pitched, before heading off to the pub for dinner and some triple cooked chips. For the first time in 5 or 6 trips to Goodwood we managed to get up and set off at the time we planned to. Unfortunately I then got a bit lost, and wasted all that time we’d gained! Once we eventually got to the circuit and set up our paddock, we went straight for the scruiteneering queue before it got too gargantuan, and settled into the routine of telling people ‘No, the car isn’t actually finished yet, we’re going to do some bodywork soon!’. Scruiteneering was a bit of a challenge; I don’t think any of the guys were used to seeing a car with so much still exposed! Fortunately, the two of us know the rulebook inside out, and after a few discussions, we were given our MOT sticker, with only a couple of things to sort out before the next event. With that, we were ready to get out on circuit! Ian wedged himself back in, and we trundled over to the pit lane. After a final quick check of the electrical system, Electric Boogaloo was ready to go! At this stage we really had no idea how well the car would go. It had had a few runs up and down the road, never really getting past 20 mph, and not doing any representative cornering. Would the steering be any good? Would the chain come off? Would the whole thing just fall apart once it got up to speed? We just didn’t know! After a nervous 5 minutes, the car came blazing through the final corner, and past us down the main straight, with barely a sound considering the exposed powertrain. The second lap time around it looked even quicker, putting in what was at the time the third fastest lap. Ian came back in at the end of the third lap, and a few issues were immediately apparent. Firstly, the motor was rather warm. Secondly, there was a puncture. We rushed back to the pits to sort these issues out, with an inner tube ‘borrowed’ from Driven, and a saw to increase the motor cooling. We just about got it all sorted to get the car back out before the end of the session, but were bought back in again before we could complete a whole lap. With a few laps under our belt, and no breakdowns or chain-offs, we were feeling pretty satisfied! Better still, some of the smirks from the start of the day had turned into begrudging compliments, having seen how well the car was going. The afternoon saw more of the same. 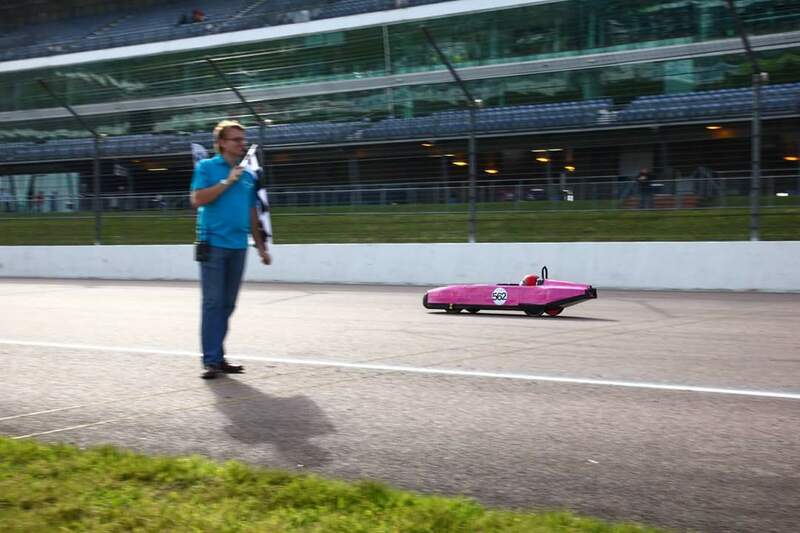 We set our fastest lap at 30.3 miles per hour, but suffered from quite high current consumption and motor temperatures – somewhat inevitable running a car with all the aerodynamic qualities of a brick! Ian still managed to do plenty of overtaking though! We managed pretty much a race distance over a couple of stints on track, with no mechanical failures (almost unheard of during my time with Driven! ), and we learnt plenty about how much steering lock we need, and how the gearing/motor controller can be used to our advantage. We developed a pretty extensive to do list in order to have the car really ready for Rockingham, which is now just a few short weeks away. Away from the track, it was fantastic to catch up with all the other Greenpowerites that we haven’t seen since the National Final, and chat about cars with people as enthusiastic as we are! I was particularly impressed with the work done to Probation IV, it could barely be recognised as the same car from last season. As ever, Dave looked imperious in Jet, and we were keeping a close eye on the aero-mods he was trialling to see if there were any ideas worth… appropriating. 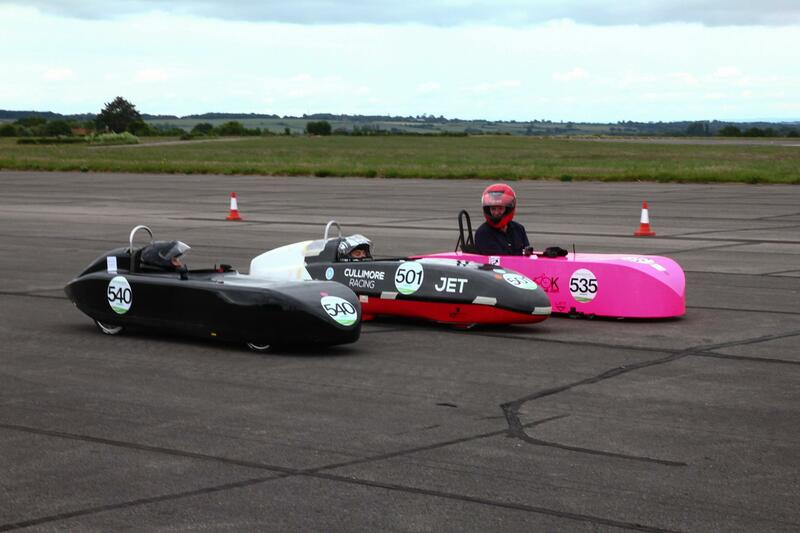 Thanks to Greenpower for organising another slick event, and I’m looking forward to the next one! Hopefully we’ll see you all there! 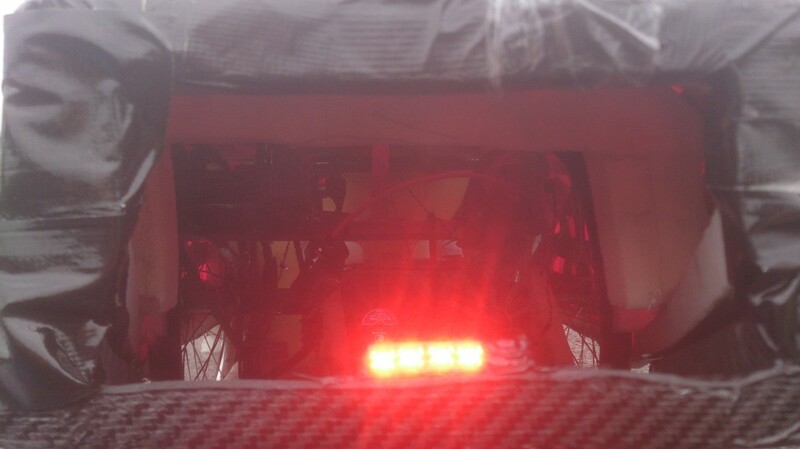 After testing two brand new Greenpower motors (http://wechook.com/?p=321) we borrowed the two motors that had been fitted to Project E and C-XeVolution for the last season. We were aiming to determine how effective these motors were compared to the new pair and to each other. 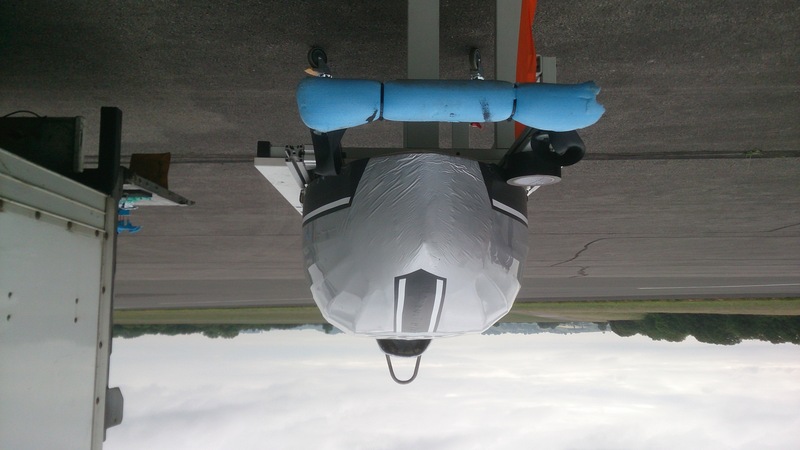 Over the course of the season, the two motors fitted to C-XeVolution and Project E had both covered hundreds of miles, so we wanted to determine whether there had been a significant gain or loss of performance from the extensive run in. 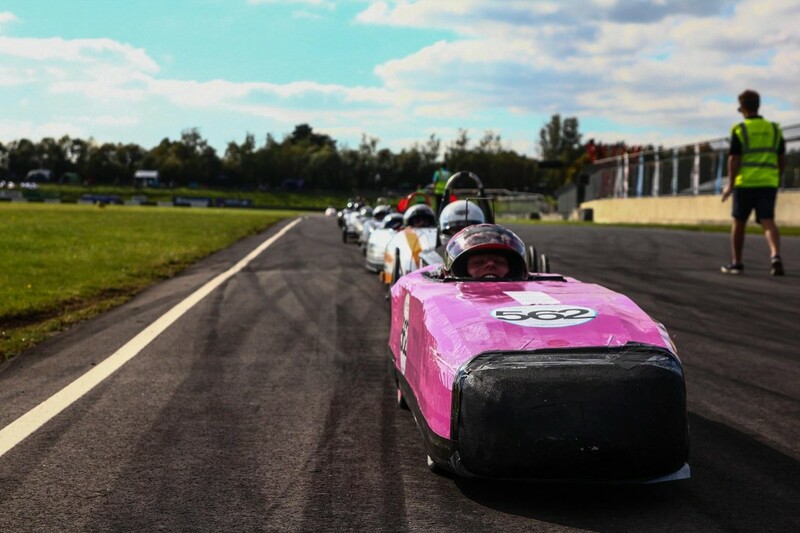 Unlike C-XeV’s motor, nether of this season’s motor’s has been significantly overheated, however the motor from C-XeVolution did get warm at Castle Combe and the International Final, due to the hills. The used motors were tested using the same equipment as the new motors. This time, we decided not to attempt the highest current draw using the heated seat pads, as the results were not reliable enough. In order to test at the higher currents, its likely that we’ll have to add more bulbs. Shown below are two plots. 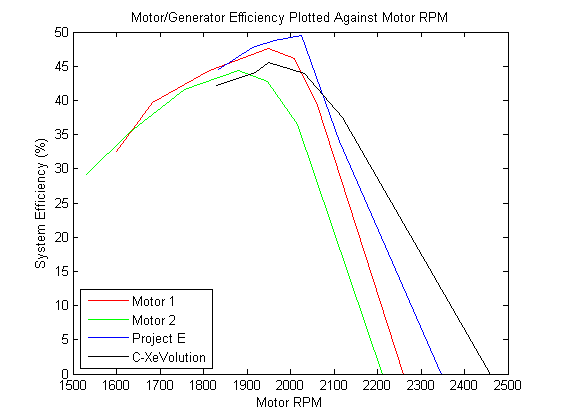 The first shows a comparison of the 4 motor’s efficiency plotted against motor rpm, the second shows efficiency plotted against battery current. 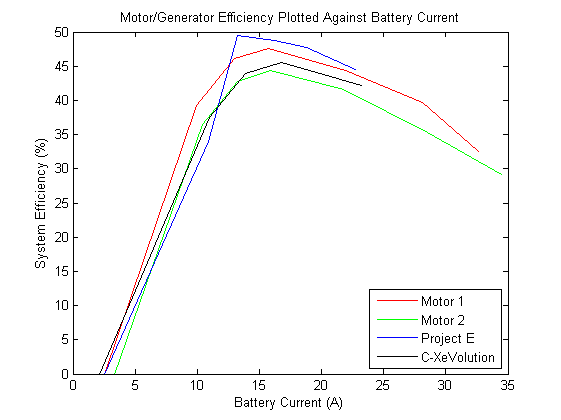 When plotting the motor’s efficiency against current, C-XeVolution’s motor is comparable to the second new motor, however it must run much more quickly in order to achieve this efficiency. 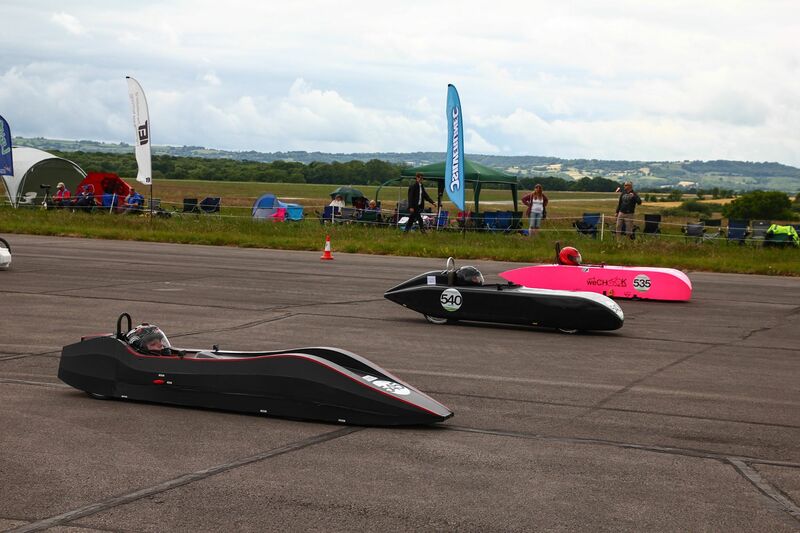 Evolution’s motor’s performance appears to be tending towards that shown by C-XeV’s motor in the last test report, suggesting that the extra heat it experienced at Castle Combe and Goodwood may have started to cause some damage. Project E’s motor also appears to need to run at a higher speed in order to achieve its peak efficiency, although it is more efficient than the first new motor over most of the tested speed range. It suggests that, if we had managed to the run the motor at ~2000 RPM, rather than ~1700RPM, we would have been in a much more efficient range. Further testing of the new motors after a more extensive run in will allow us to see how efficiency is affected by distance and thermal cycling. The motors will be cycled using a power supply to start with, and then run in anger once the rest of Ramjet is complete. We also need to develop a more reliable method of testing the motor at higher duty, in order to better compare motors at the speeds they tend to experience during a race.